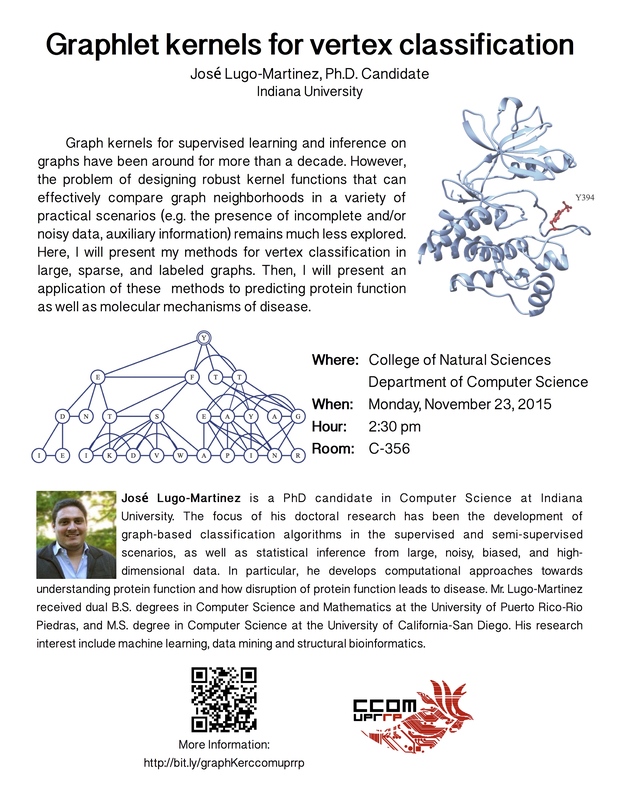 Graph kernels for supervised learning and inference on graphs have been around for more than a decade. However, the problem of designing robust kernel functions that can effectively compare graph neighborhoods in a variety of practical scenarios (e.g. the presence of incomplete and/or noisy data, auxiliary information) remains much less explored. Here, I will present my methods for vertex classification in large, sparse, and labeled graphs. Then, I will present an application of these methods to predicting protein function as well as molecular mechanisms of disease. 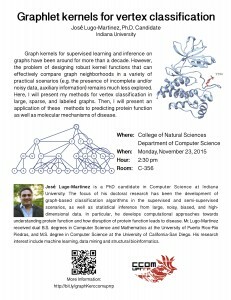 José Lugo-Martinez is a PhD candidate in Computer Science at Indiana University. The focus of his doctoral research has been the development of graph-based classification algorithms in the supervised and semi‐supervised scenarios, as well as statistical inference from large, noisy, biased, and high‐dimensional data. In particular, he develops computational approaches towards understanding protein function and how disruption of protein function leads to disease. Mr. Lugo-Martinez received dual B.S. 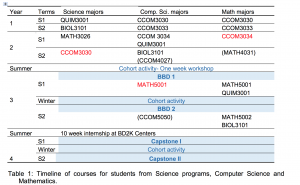 degrees in Computer Science and Mathematics at the University of Puerto Rico-Rio Piedras, and M.S. degree in Computer Science at the University of California-San Diego. His research interest include machine learning, data mining and structural bioinformatics. 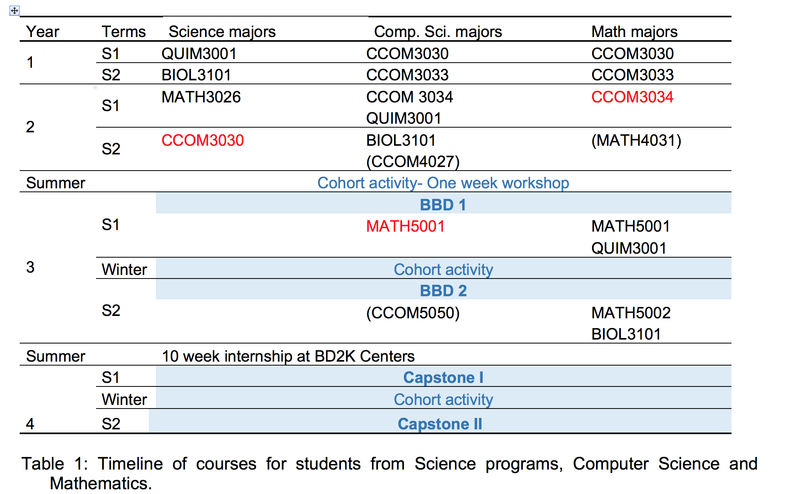 Ciencia PR covers the IDI-BD2K project. The Rio Piedras campus of the UPR published a short article on the IDI-BD2K project November 4th.